In the early 1940s my grandmother, Margaret MacArthur, moved to an abandoned 1803 farmhouse in Southern Vermont and began seeking out the folk songs that resided, near-forgotten, in the surrounding hills. She bought herself a Wollensak reel-to-reel tape recorder and trekked around back-roads, children in tow, asking if anyone knew “the old songs.” In 1962 Moses Asch, then director of the Folkways Records, heard of her singing and requested she send him some of her music. Surprised (and flattered) Margaret put some batteries into her Wollensak, sat down at the kitchen table after her five children were asleep, and pressed record. Six months later she received a letter from Moses and a record of the music she had played there at the kitchen table. FOLKSONGS OF VERMONT was the first album of what became for her a nine record career. The songs on “Your Name in Secret I would Write” we learned from Margaret. She died in 2006 in the northwest room of her farmhouse. 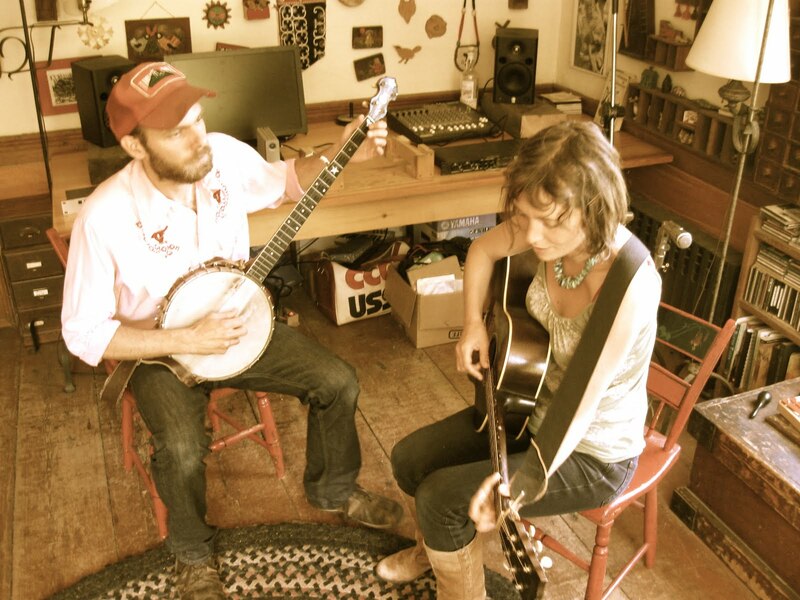 In 2010 we received a grant from the Vermont Arts Council and the National Endowment for the Arts, and set up our laptop and microphones in that same room and began making this album of a few of the songs she collected and loved. This record is a way to inhabit the landscape where we live—through the porous poetry of this place—and a way to bring back the dead. My grandmother, yes, but the others as well: the generations who sang these songs around their fires, the women poets who walked these hills, the now-gone folks my grandmother recorded singing seventy-some years ago. This album is for Margaret, and for Avah too. YOUR NAME IN SECRET I WOULD WRITE will be released on Tuesday, September 20th. Please come back to read and find out more.